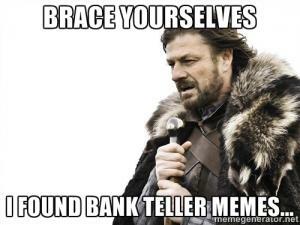 Bank teller: To open an account I'll need a first nam. 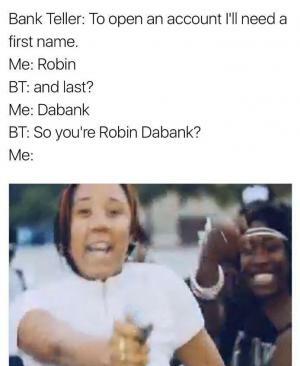 BT: So you're Robin Dabank? 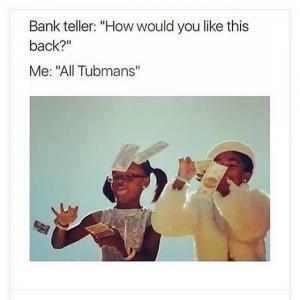 Bank teller: "How would you like this back?" 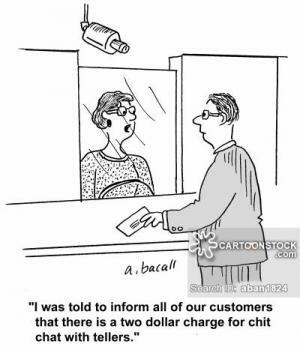 "I was told to inform all the customers that there is a two dollar charge for chit chat with tellers. " 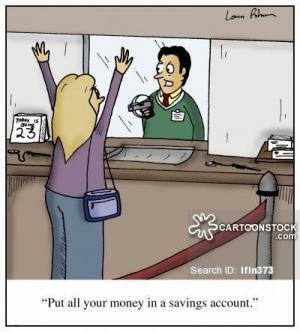 "Put all your money in a savings account. " 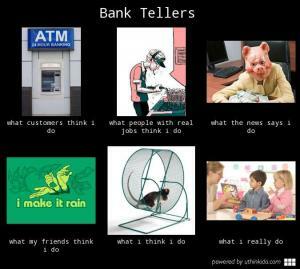 a man walks into a bank and says to the teller, " i want to open a ing checking account." 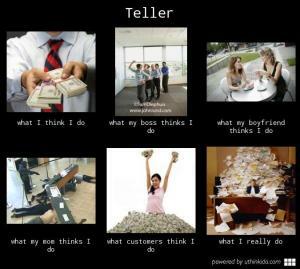 the astonished woman replies, "i beg your pardon, but that kind of language is nottolerated in this bank." 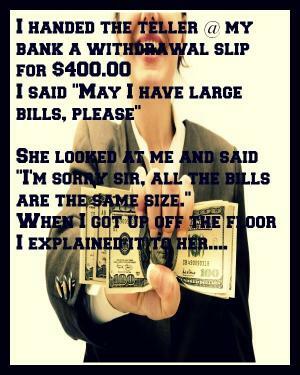 the women leaves the window and the goes over to the bank manager to inform him of her situation. the manager agrees that the woman does not have to listen to that kind of language. 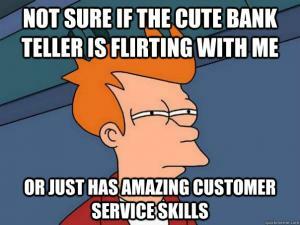 they both returned to the window and the manager asks the man, "sir, what seems to be the problem here?" there is no ing problem,"the man says. 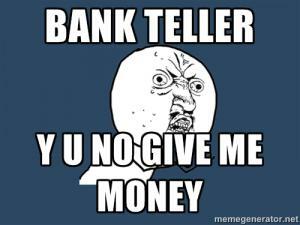 "i just won $200 million bucks in the lottery and i want to put my ing money in this bank." "oh...i see," says the manager. 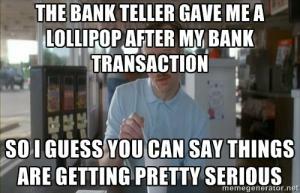 "and is this giving you a hard time, sir? 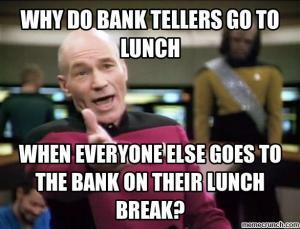 When everyone else goes to the bank on their lunch break? 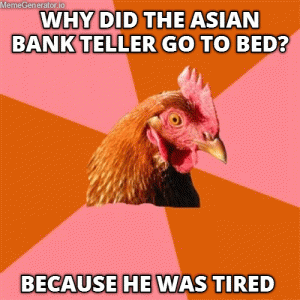 Why did the asian bank teller go to bed?